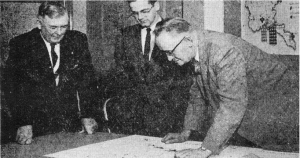 1959: Ann Arbor News PLAN RIVER’S FUTURE: William G. Hayes of Pittsfield Township, Wallace Bowman of the Washtenaw County Planning Commission and William Scheel, chairman of the Washtenaw Board of Supervisors, are key figures in the Huron River Watershed Intergovernmental Committee. The Huron River is considered to be the cleanest urban river in Michigan. Much of the credit for this status goes to the Huron River Watershed Council (HRWC) and those who saw the need for the river’s protection. Even though HRWC has no enforcement powers, we have accomplished our goals through the use of technical data, factual information and citizen stewardship to influence decisions made by various local agencies, businesses, and individuals. Our historical roots reach back to 1956 when a drought period caused severe water shortages in the Detroit Metropolitan area. A controversy between Wayne County and Detroit resulted in a National Sanitation Foundation study to survey present and future water resources and demands in the area. At the same time, new industrial and subdivision development was occurring in Ann Arbor and eastern Washtenaw County. Water supply was sufficient, but pollution in the river was a growing problem, especially in the narrow part below Ann Arbor. The State Health Department studied the quality of the river and decided to restrict expansion of any sewage treatment plants. The Washtenaw County Planning Department was concerned about the impact of this policy on future development and asked the State Water Resources Commission to study the utilization of water in the watershed to help resolve water use and pollution concerns. Among the findings of the report, The Water Resource Conditions and Use in the Huron River Basin, was a recommendation that an agency was needed to evaluate the quality of the Huron River on a continuing basis. Public Act 200 of 1957 provided the basis for the local units of government to establish a cooperative information, research, and consultative agency to tackle multi-unit problems. An agency, the Huron River Watershed Intergovernmental Committee (HRWIC), was formed in April 1958. Four counties, eight cities/villages, and twenty townships joined. The purpose of the HRWIC was to study mutual problems relating to water management and use in the Huron River Watershed. Its objective was to sponsor a series of studies that would lead to recommendations for review and action by member governmental units. The studies focused on the biological and chemical characteristics of the river; groundwater geology and hydrology, and irrigation needs. Based on these studies, an engineering firm was hired to analyze waste disposal and water use in downstream portions of the Huron. Two important recommendations were made: the level of treatment by existing sewage treatment plants needed to be increased and an agency should be established to coordinate development of a pollution control program in the watershed. At the same time, the technical advisory committee of the HRWIC published A Water Use Policy Development Program that also strongly recommended the formation of an organization to maintain surveillance of the Huron. Enabling state legislation was needed and UM Professor Lyle Craine and others worked to get Act 253 of Public Acts of 1964 passed, the Local River Management Act. In 1965, seventeen governmental units petitioned the Water Resources Commission to establish the Huron River Watershed Council (HRWC). The petition was granted and in April 1965 the first Watershed Council in Michigan was formed. The office was moved from the County Building to 415 W. Washington in Ann Arbor and Jerome Fulton, a UM graduate student, was hired as a part-time Executive Secretary.  Members of our first Council included twenty-four units of government. Its function was to: 1) conduct studies; 2) give reports; 3) request the Water Resources Commission to survey the watershed to establish minimum levels of stream flow; 4) recommend establishment of a River Management District when needed; 5) advise agencies of problems and needs of the watershed; 6) cooperate with federal, state, and local agencies; 7) employ an executive secretary and other personnel as needed and within budget; 8 ) form sub-committees or advisory committees, and 9) seek special project funds. Since our inception, the Huron River Watershed Council has been a respected voice in the watershed’s 73 communities with a history of working creatively and cooperatively to tackle a variety of issues facing the basin. The Huron River Watershed Council has built our reputation by authoring sound scientific reports that individuals, agencies, and governments use to guide their decision-making. Our studies have covered a broad range of topics including: impervious surface coverage and land development practices, coliform bacteria monitoring, fisheries improvement, septic influences on lakes, groundwater vulnerability, flood control, benthic macroinvertebrate populations, influences of various land uses on water quality, and existing and lost native ecosystem types. For over 5o years HRWC has served as a common ground where stakeholders come together to discuss collaboration and coordination between local units of government, businesses, and citizens on water management policies and programs. Throughout the years these discussions have resulted in reports that governments and agencies have used to direct policies such as Wellhead Protection Planning, Pollution Prevention in threatened waters, Land Use Planning, Flood Forecasting and Warning, Phosphorus reduction, and numerous Watershed Management Plans. Over the course of our history HRWC has played a vital role in the development and passage of statewide legislation that sought to protect water resources. The Inland Lakes and Streams Act, the Natural Rivers Act, the Clean Water Act and its re-authorization, Goemare-Anderson Wetland Protection Act, Michigan Soil Erosion and Sedimentation Control Act, The Michigan River Basin Management Act, and many others have benefited from the HRWC’s expertise and involvement. HRWC played a significant role in portions of the Huron receiving a Natural River designation in the 1970s. The Huron is the only river in Southeast Michigan to have a State-designated Natural River District. Our 20-year old stewardship program is the state’s premiere volunteer river monitoring program. The program coordinates several hundred volunteers to monitor the quality of the Huron River. These individuals assess habitat, the benthic macroinvertebrates that live in the Huron and its tributaries, and chemistry and flow levels, making the Huron one of the best-studied rivers in Michigan. These volunteers translate the results of their studies into actions, restoring wetlands, educating their neighbors, and working on local land use policies. Because of this long experience in running this program HRWC was selected to lead the Michigan Department of Environmental Quality’s volunteer stream monitoring program, the Michigan Clean Water Corps (MiCorps). HRWC engages and educates the public about how they can reduce the incidental pollution that comes from our everyday lives (nonpoint source pollution). HRWC employs social networking and other digital channels, print advertisements, mailings, storm drain labels, outreach at public festivals, printed and free calendars with monthly tips, and radio public service announcements to reach watershed residents. We are seeing results: for example the use of Washtenaw County Home Toxics Reduction Center is up 250% from the previous year following implementation of our initial efforts. This translates into tons of toxics being disposed of properly and kept out of our waterways, soil, and air. Similarly, 90% of the individuals who received the Pledge Book report having a greater awareness of the issues and over 60% have changed their daily or weekly practices related to water and the environment. HRWC works with communities to protect their natural resources and the groundwater and surface water that supplies municipal drinking water. We are a recognized and respected source of technical information and coordination among local officials throughout the Watershed and the State. Our geographic information systems (GIS) modeling, award-winning “Community Guide to Wellhead Protection”, “How Much Development is Too Much” guidebooks and training, Codes and Ordinance Worksheet, and other workshops and tools have helped hundred of communities in the State protect their water and natural resources, and drinking water. HRWC’S watershed management planning efforts have brought together landowners, builders, elected officials, interest groups, and scientists from 56 different communities to develop and implement community-based roadmaps to guide future protection and restoration efforts. Today, HRWC’s staff coordinates several programs and hundreds of volunteers who serve on our boards, committees, and in other volunteer activities. HRWC’s efforts fall into four major categories: Study, Restore, Protect, and Connect. Our programs cover pollution prevention and abatement, hands-on citizen education and river monitoring, natural resource planning, mass media education and information, and wetland and floodplain protection. Go here to learn about our current programs and projects.